To qualify for Medicaid, an applicant must pass an Asset Test in Florida. The Asset Test is incredibly restrictive and makes gaining Medicaid a challenge even for those with few assets. The test considers all nonexempt assets of the applicant and the applicant’s spouse if he or she is married. The requirements for Medicaid seem shockingly restrictive upon first glance. The good news is Medicaid only counts certain assets for The Asset Test. Florida does not allow an applicant to own countable assets worth more than $2,000. However, if the person’s income is under $856 a month, then the person cannot own assets more than $5,000.00. The Well Spouse can retain up to $119,222.00 in individual or joint assets in addition to exempt assets. When our clients come to our Jacksonville or Ponte Vedra offices, the first thing we do when planning for Florida Medicaid is to divide a person’s assets between countable assets and exempt assets. What Assets are Exempt From Medicaid? The first thing to do is to list of an applicant’s exempt assets. This page will list some of the major exemptions, but is not an exhaustive list. Possible the most significant exemption is the applicant’s homestead or primary residence. While this property is exempt, the house is only exempt up to a certain extent. An applicant with an equity interest in the home that exceeds $552,000 is exempt from long-term care under Medicaid. The home equity of the estate is calculated using the current market value of the house, minus any debt. If you recently added kids on to the deed, you may have lost part of the exemption, and this can cause a penalty. Don't worry it is possible to fix this, unless you have the proverbial evil child. However, as many Florida homeowners will tell you, the market value of homes in Florida areas like Jacksonville and Ponte Vedra Beach can be much higher than other regions of the state. This is why we recommend that many of our clients use a Ladybird Deed or transfer a remainder interest to a an exempt trust to become Medicaid eligible. This deed allows a person that owns a home over the limit to become eligible by giving the house to an heir but retaining a life estate in the house while they are still alive. This means the applicant continues to live in his or her home for the rest of their lives. Medicaid only considers one motor vehicle to be exempt from The Asset Test. This car or truck will be an exempt asset regardless of the vehicle’s age or type. Medicaid will exempt an applicant’s second vehicle if the car is over 7 years old, and is not a luxury or antique vehicle. All personal property is exempt from The Asset Test, except for jewelry or art that is deemed collectible. Retirement accounts are also exempt in Florida. Retirement accounts include 401k, IRAs, and 403bs, and are exempt as long as the owner of the account takes regular and periodic income distributions. A Life insurance policy with no cash value, such as term life insurance, are exempt from The Asset Test. Unfortunately, this rule means Medicaid counts whole life insurance policies as part of the test. If the face value is less than $2,500, then the insurance coverage will be exempt regardless. 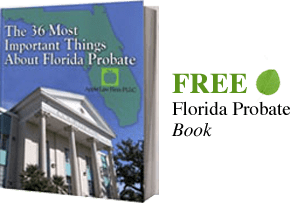 Most annuities are not exempt from the Florida Medicaid Asset Test. The cash surrender value of single or flexible annuities are fully countable. However, if the applicant places property into a properly structured immediate annuity it will not be counted if it meets certain Medicaid guidelines. An applicant’s business may be counted towards his or her assets if the business is ongoing during the application process. The income from the business may only be exempt if the net income is used for the applicant’s cost of care or if it goes to the Well Spouse. There are too many issues to discuss, and the results vary by individual circumstance. The best way to deal with the Medicaid Asset Test, it to discuss you specific situation with a Jacksonville Medicaid Lawyer. If you have questions about Medicaid or would like more information about Medicaid in Jacksonville or other areas of Florida, CONTACT our Ponte Vedra Beach Elder Law attorney by email or call us at 904-685-1200 to discuss your situation today. For Medicaid related issues we offer a free 30 minute initial consultation.